Friends! I hope you had a great Christmas and were able to unplug, relax and enjoy the holiday with your friends and family. As if Christmas yesterday wasn't enough, Nordstrom decided to surprise us with the Half Yearly Sale. Can the extended weekend get any better?! There are so many cute things on sale - up to 50% off. Yeah! Shown are some of my top picks, but I've also linked a ton below as well. If you're not feeling any of those, you can also shop the sale here. 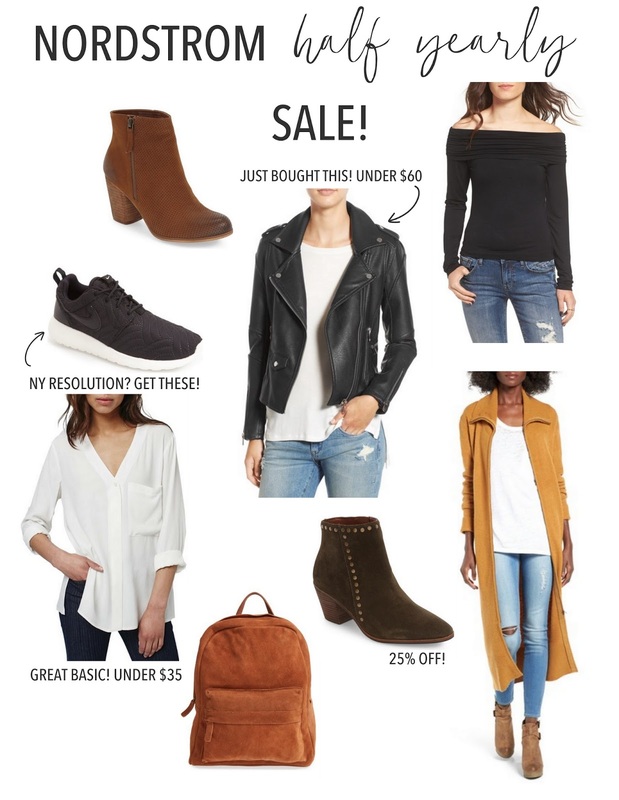 If you get anything, I think it should be the moto jacket (under $60!) and the white button down with the oversized pocket. You gotta check out the back too - so cute! Alright, y'all. Happy Monday and happy shopping. Back to the grind tomorrow!